The Vladimir Heavy Draft was developed in the Vladimir and Ivanovo Regions of Russia as a medium draft breed with both power & speed. This area has long been known for the creation of good horses. 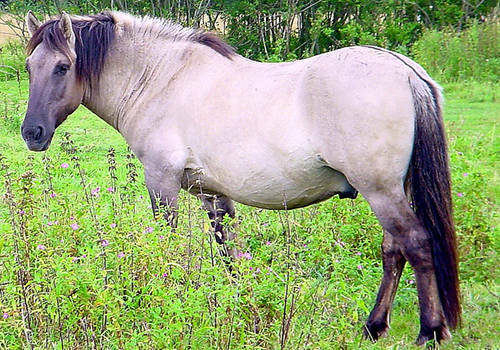 The Upper Yenisei horse comes from Tuva which is a large country located in Siberia. The climate in Tuva varies considerably, but horse breeding is practiced in all of it’s districts & the breed is highly adaptable. The Tuva or Tuvinskaya comes from Tuva which is a large country located in Siberia. The climate in Tuva varies considerably, but horse breeding is practiced in all of it’s districts & the breed is highly adaptable. Also called the Tersky & Terskaya the Tersk is a relatively new breed developed in Russia in the early 20th century. Also called the Tavdinka & Tavdinskaya the Tavda is a forest type draft breed that comes from northern Russia & is considered a rather natural breed as their development has had very little human intervention. The Stretlets Horse comes from the caucasus family and was developed by breeding Arabians, quality Orlov Trotters, Thoroughbred & Anglo-Arabians & the resulting animal carried the physical characteristics of the Arabians with a larger build. 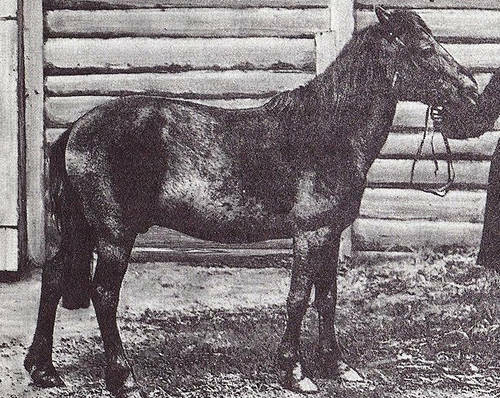 The true wild Tarpan comes from Russia and is actually an extinct species, the last two on the planet died within a decade of each other in the late 19th century. Today’s version of the Tarpan, also called the Heck Horse is a genetic recreation of the old breed.